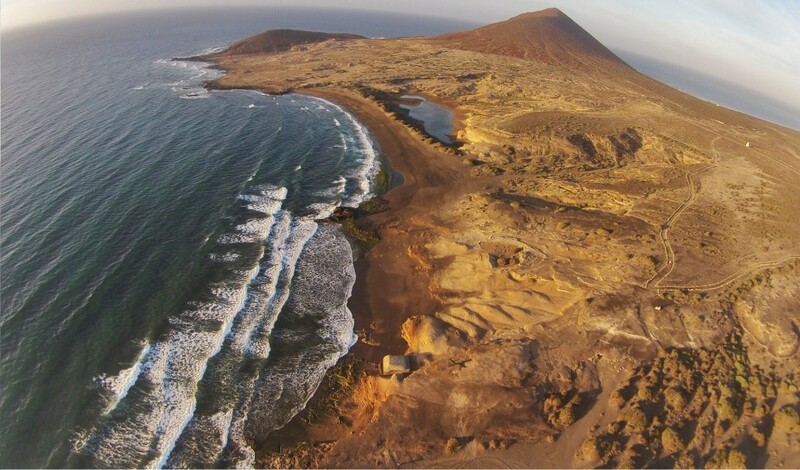 El Medano, the best kite & windsurf area. Los Balos is developed in an enclosed landscaped plot with direct access to the wooden promenade and is adjacent to the nearby natural park, Montaña Roja. Our 1, 2 and 3 bedroom apartments are built on a terraced ground, enormous balconies facing the sea offer great panoramic views of the unique surroundings and communicate to the interior through large windows. For bookings and reservations, please get in touch, don´t be shy and send us a mail to losbaloselmedano@gmail. 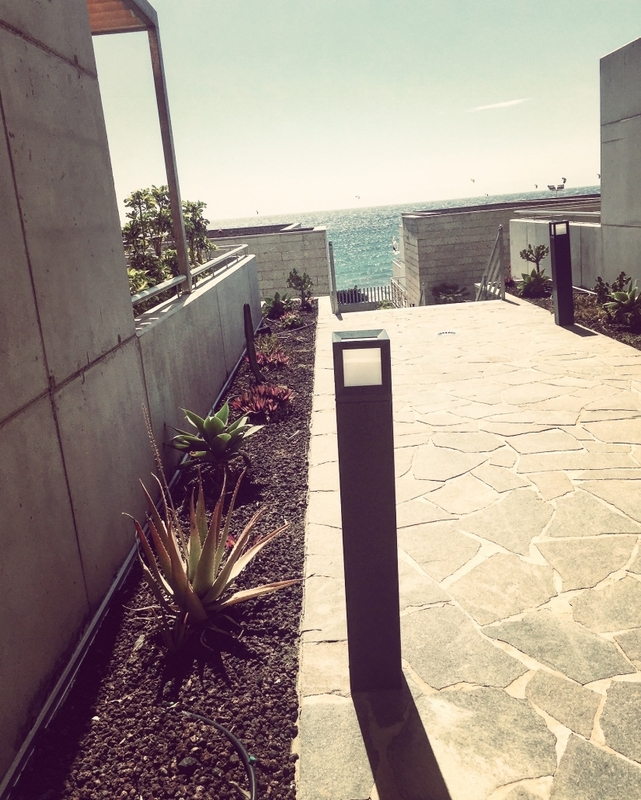 The design is extremely modern, built in concrete, natural stone and steel. The architect, Miguel Blázquez and Los Balos were recently selected finalists to The Architecture Award Tenerife 2008 and the Project is developed in various publications on “Arquitectura Blanca”. Our location cannot be better, we are seafront to the windsurfers sail exit and just a minute away from the kiters area. We are a perfect place for sports just mentioned, surf, stand up paddle, trekking, cycling or simply enjoying the spectacular surroundings the island offers. El Medano is a small coastal village in southern Tenerife, township of Granadilla de Abona. Encased between two bays, its natural beach of fine sand is the biggest on the island. It is also 10km from a regional road that communicates the south with the north, crossing the volcano. We wish, through this description, to support a political and environmental initiative, “Granadilla Litoral”, and all of those who helped develop the project: Tomás Cruz Simó, Juanmi Alemany, and of course, Antonio Cabrera and Pedro Díaz. ‘The protected natural areas, the illuminated depths, the algae colouring, the whitened “blanquizal” and the Lesser Neptune Grass nurseries considered the island’s most important sea prairies. Los Balos is immersed in this magnificent and magical littoral of El Medano, and spans throughout more than 20kms of the island’s coast, from the mouth of El Rio to the ravine-gorge of La Orchila. A small arid paradise, which in the winter months of January, February and March, turns into a rich oasis; a green low forest of “tabaibas”, “aulagas” and wild daisies… An endless world of possibilities for nature, ocean and adventure sport lovers. The Beach House was first built in 1935, it’s been a family summer house since then, although today it has evolved into a small residential. The property is located at the end of El Medano ´s main bay and literally walks out onto the beach. Things have changed, we have gone modern and we’re many more but we try to keep it cool and windy.